Will Apple launch a budget version of the HomePod? Apple joined the game of speakers just a month ago with its HomePod. It was different from most other smart speakers as it brought superior sound quality, but was not as smart due to the limitations of its built-in smart assistant – Siri. The HomePod also came with a pretty serious price tag of 349 bucks, making it one of the most expensive smart speakers on the market. However, Apple may be planning to release a less-expensive version of its tubular audio goodness later in 2018. The new HomePod model might be priced between $150 and $200. For the lower price we might get lower sound quality than the first HomePod. Also, a smaller form-factor might be introduced, which actually is not a bad thing. 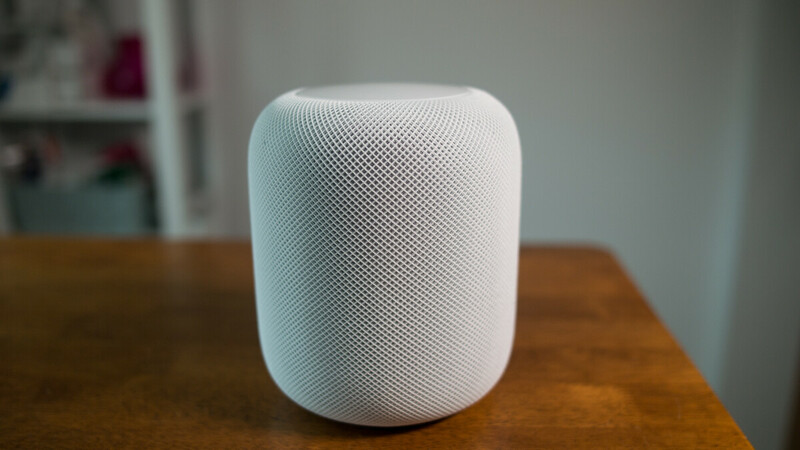 Introducing a less-expensive HomePod model would indeed be a good move by the Cupertino company, as their speaker is way more expensive that those of its main competitors, Google and Amazon. Also, both companies have a budget version of their speakers, so why Apple shouldn't? We've already heard some rumors about Apple planning to release budget versions for some of its products. A budget 6.1" iPhone might be on the horizon, as well as a lower-priced iPad and a budget-oriented MacBook. Nothing has been officially announced yet, so take the information with a grain of salt. Probably not but if Apple wants more sales & get more into the Apple echosystem they need a smaller cheaper device aswell. Apple is all about maximizing their profits. Especially some zealots on this site and others will point that out. If Apple introduces a so called budget version of their iPhone, then they are only competing with themselves, and in the long run cannibalizing their higher priced iPhones. Also Apple will be turning themselves into a Microsoft where even the lower tiered iPhones will be able to run the all the same apps. So why by a higher priced iPhone then. I really don't see Apple doing this, unless Apple is more interested in gaining market share. Budget and Apple really never go together. Even though there specs have always been more on the budget side. But if the price is around the $600-$700 mark. Then that is definitely not a budget phone. It will be interesting to see if Apple will do this, and what they will call budget. They could just release a smaller speaker with an Aux cable so it can get its smartness from Google/Alexa and it's sound from Apple. To be honest, it's quite stupid to buy two full-feature Homepods to get stereo (in future, after many many updates). The other one does not need Siri integration, just connection to the "main" speaker. There is no point. The main selling point is audio quality, budget version wouldn't sound that good and siri is not smart enough to compete with alexa (not that i would get a digital assistant anyway). If it's a fail like the first, what's the point?